It’s a miracle to survive a plane crash, let alone walk away with just some cuts and bruises but that’s exactly what happened to remote chaplain and pilot Paul White in January this year. Paul is well known to his YouthCARE family for founding Kingdom Aviation where he and his team fly to eight remote Aboriginal community schools each week to provide pastoral care. 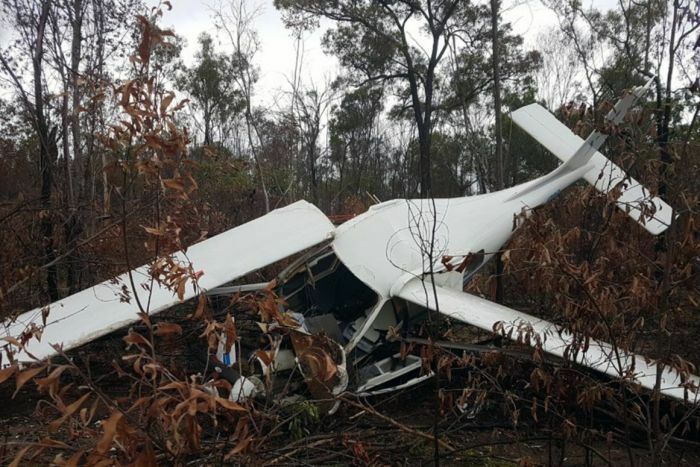 On 7 January he was finishing a trip across Australia when an engine failed in his Jabiru two-seater aircraft above Auburn State Forest in Queensland. Paul has thousands of hours of flying experience and said he knew what to do to land the plane. “I picked what I thought would be the best passage to take the wings off and uprooted a few trees initially, then the wings completely broke off. The plane did a cartwheel and stopped in the one spot,” he said. Paul then set off an emergency position indicating radio beacon (EPIRB) and emergency services arrived within 90 minutes. “Being a man of faith and loving the Lord and a Baptist minister and full-time chaplain I naturally give all the credit to God. I look at that plane and I shouldn’t be alive,” he said. Paul says he can’t wait to get back to flying soon! Treasure Hunters training goes regional!